1. How do I register my children? You must set up an account before you can register your children. 2. Who is eligible to play? Anyone who lives or goes to school in Cliffside Park and Fairview between the ages of 4-16. Also, anyone that was eligible and has registered and played for our league in the past can continue to play with us in the future even if they move out of town. 3. What leagues are offered? There are different levels offered depending on your child's age and ability (see the register page on this website). For the younger children (T-Ball and Baseball Coach Pitch) we play games within our own league. 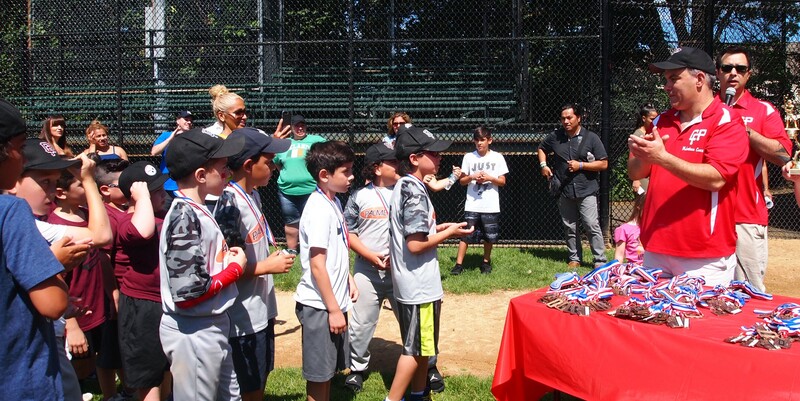 Softball, Baseball Minors and above play "inter-league" (leagues of other local towns). Check out the "Links" tab (under Resources) to find out who we play against in inter-league. We also sponsor travel teams that travel a little further and games are typically Sundays. 4. What level should we sign up for? During Rec season (April thru May) your child should play at the level appropriate for their skills and abilities. It's about learning, having fun and most importantly being safe. Just because a child has turned 8 or 9, doesn't mean that they have to jump to the next level. The minors have had players from ages 7 to 11. Travel and District team members (baseball and softball) are the only players that must adhere to strict age requirements. 5. What uniform size should we order? Unfortunately the uniforms sizes have been a little inconsistent the past few years. It's safer to order one size up, but be aware that you may choose from both Youth and Adult ranges, so make sure you check off the correct box when registering. You will be given what you ordered. If you do not receive what you ordered the league will take care of it. If you made a mistake ordering you will be expected to cover the cost of a replacement uniform. 6. When does the season begin? The season begins in April; some teams may begin practicing in March weather permitting. The ceremonial opening day takes place early-mid April. 7. Are there practices? How often? There is typically one practice per week, sometimes more for minors and up if scheduling allows. Typically it is not a set day of the week, but schedules will be provided in advance. Usually there are a couple of practices a week before the season starts. 8. When are the games? How often? There are 1-2 games per week. Usually one weeknight and Saturday. Day and time will not be the same each week - schedules will be provided in advance. 9. What equipment or apparel do I need to purchase? Each child should have their own glove. A "heart guard" is also mandatory once your child reaches the "minors". Boys playing the "catcher" position must wear a "cup". Plastic cleats are also recommended. The league provides bats, helmets and balls. You may purchase your own helmets and bats if you desire. In softball, the girls wear face guards while fielding. Yes, Little League is a 100% volunteer operation and we absolutely need parents to volunteer to coach or assist. You can start as an assistant coach, and learn from the more experienced coaches. Also, there are free coaching clinics where you can learn the basics. A volunteer form needs to be completed. 11. Should my daughter be playing softball or baseball? Younger than 2nd grade, your daughter will be in the beginner programs, t-ball or baseball coach pitch, which are both coed. After that, it is her choice if she would like to play baseball or softball. There is softball coach pitch for 1st/2nd graders. 12. How & when will I be contacted about what team my child is on? You will be contacted by your child's coach by the beginning of April. Registration starts December 1st. Register early for a reduced registration fee. If you don't register your child before the deadline we may not be able to find a roster spot for them. Registration will close on the last day in February. 14. Where can I register my child? 15. I know nothing about baseball so I can't coach but I still want to help out. What can I do? We need help at our events, such as the opening and closing ceremonies. Our concession stands are always looking for volunteers to work the stand during the game. We need help prepping the fields before each game. Fundraising is a big job and always looking for help in getting new sponsors. There are a number of ways to get involved, just come to a meeting to find out what ways you can get involved. 16. What is the fee? What does the fee include? The fee starts at $75/child and will increase to $90 on February 1st. The fee covers your child's uniform (hat, shirt, pants, socks), and helps to cover the cost running the league, and our events. Some clinics will be an additional minimal cost. There is an additional $30 fee If your child makes it onto the travel team. 17. Who do I speak with for more information? 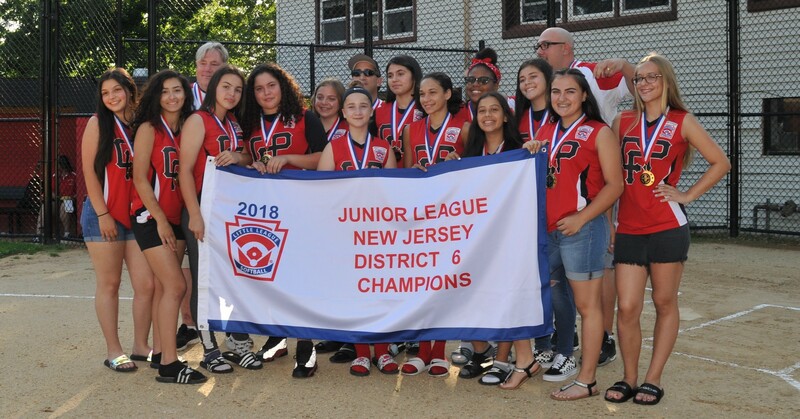 You can contact the board via our email cpfbaseball@gmail.com or attend one our our monthly meetings that usually take place the second Monday of every month at 7:30 at the Cliffside Park Clubhouse. Email notices do go out. Please reach out to your coach as well for information.